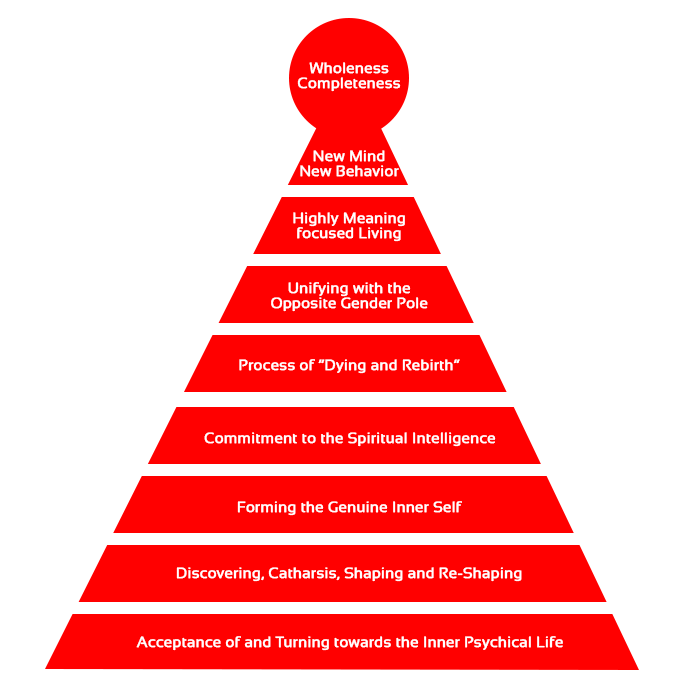 Transformation and all-sided balanced growth of the psychical organism (the psyche as a holistic system) towards a new, harmonically functioning wholeness. Transformation means: to change, to correct, to balance, to develop, to unfold, to shape, to strengthen, to differentiate, to become richer, and to result in something new. Self-fulfillment without this transformation is not possible. You want a breakthrough in your personal life. You want a fulfilling future in your professional life. You are looking for a deep archetypal sense of life. You want inner catharsis and spiritual absolution. You want a solid inner connection with God and Spirit. You want to meditate and contemplate. You want to experience archetypal processes. You want to experience the ‘Archetypal Initiation’. You want to shape your path towards completeness and fulfillment. Connecting with God and achieving the most solid foundation of your life. Humanity needs a new concept of ‘mankind’, a new spirituality, and a new breed of evolutionary humans! Humanity needs a new generation of all-round prepared leaders in every field of human endeavor! Humanity needs a new concept of Business Schools, of Universities, and of a new Public Education! Humanity needs to reclaim the Archetypal Spirituality (‘Religion’) that was never established in the past! The programs at the Schellhammer Institute are not psychotherapy, but personal further education. Before you apply, read one or more of the pioneering books from Dr. Schellhammer (available to purchase (in English, German and Spanish). The Schellhammer books cover mind, personal development, human evolution, life, business, politics, economy, society, education, and religion. We work with units of minimum 10 sessions.